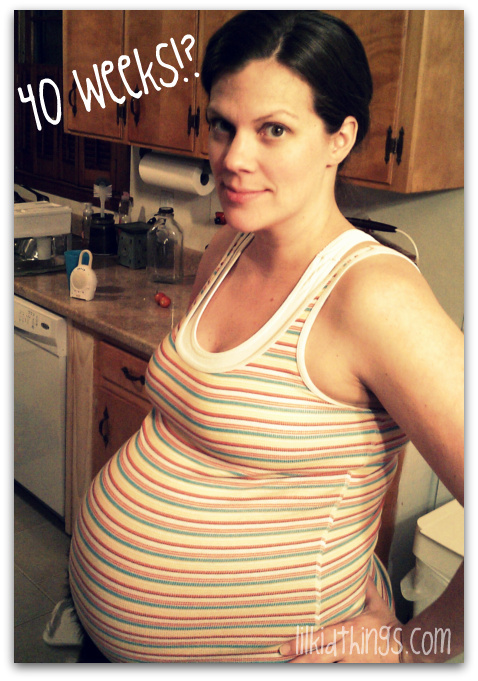 I am 40 weeks pregnant now and thinking about the last 9 (really 10) months. In some ways, it’s been a far more relaxed pregnancy. In other ways, life has seemed to crumble around us at different times. You take the good with the bad. This time around I haven’t read nearly as much, haven’t asked as many questions and I haven’t obsessed about every little detail of every little thing like I did with Oscar. For the pregnancy, it was nice. Now that I am nearing (??) the birth, not so much. I am antsy and ready to get this show on the road, but also realizing that I don’t even know if I am really actually READY for a newborn. I am also not really sure I am ready to push a baby all the way out of my body. Neat, huh? Guess I will just handle it as it comes. As for the birth, I have mentioned my desire for VBAC before and as I face the actual possibility that it might happen, I have a few thoughts. I’m calling it my VBAC Manifesto. We’ll see how I feel on the other side heh. I love this post. What a beautiful manifesto! Wishing you a peaceful, speedy and successful VBAC! i specifically remember being mid-contraction with noah saying, “no, no, I can’t do it” then remembering to choose to NOT be afraid and to let go and trust. Then changing what I was saying, still mid-contraction, to “yes, come on baby” It was so amazing how just that change in my mid-set made the world of difference. Made the contractions almost bearable. I had to do that several times and every time “choosing” to let go always made it better. It was never my natural instinct but a choice I had to make. praying for you and sending lots of love your way! You can DO it! No matter what comes your way….you can and will do it. I’ll be thinking of you this week. Can’t wait to meet that baby boy. You can do it! Whatever ‘it’ turns out to be. I bet you are more ready to have a newborn than you think. I hope he comes soon and the labor is easy. Praying you don’t have to go through a c-section. I love this post! What a great gift to yourself to have a manifesto written before labor! Best wishes! I wish I could have had a VBAC. We live in a rural area and with no trama hospitals nearby it is not allowed by our small town hospital. I prayed a lot to the Virgin Mary before my delivery. As the mother of our Lord she gives strength and courage. Best wishes!